We deliver the convenience of a handheld CB radio with the security of knowing you have the longest range possible so you can always stay in touch. Whether you're in your car, truck, van or bike, over the road, camping out or just out hiking the trail the high performance PRO401HH guarantees you're never out of touch. The PRO401HH also includes a low-power setting to conserve battery life and a high-power setting so you can extend your range when needed. Safety, style and range, all brought to you by Uniden, the rest name in CB radios. A 40-channel handheld CB transceiver. Click here for a larger image Truly portable CB radio for use anywhere. Truly Portable Handheld CB Radio 40-Channel CB Radio The 75-785 offers 40 separate communication channels, delivering the maximum CB communication range with 4 watts of output power. Tune in with pinpoint accuracy using on-board PLL channel selection. Powering Options You can power the 75-785 with nine AA alkaline batteries for use on the go. Alternately, fill it with rechargeable nickel cadmium AAs, and use the charge jack to recharge them all without removing them from the radio. External Accessory Jack Add Midland accesories, such as an external speaker box or headset mic, using this jack. Key up on the go with the HH 50 WX ST from Cobra. Tune in to all forty CB channels as well as ten added weather channels for solid, up-to-date information on the latest road conditions. Cobra s Soundtracker Noise Reduction System limits interference for true transmissions so chatting clearly is no problem. An illuminated multifunctional display and rugged build allow for operation no matter the weather or time. The rugged-and-ready Cobra HH 50 WX ST comes feature-rich and fully equipped with a 12 volt cord. STAY INFORMED - NOAA Alerts for weather and emergencies. Built in to the radio you can be prepared for anything. CHANNEL SCAN - find the channel with the best signal automatically, with 40 channels to chose from. You won't have to manually search for a strong signal again. DUAL WATCH - select two channels to constantly monitor simultaneously. Keep an ear open for incoming transmissions on multiple channels so you will hear alerts around you. 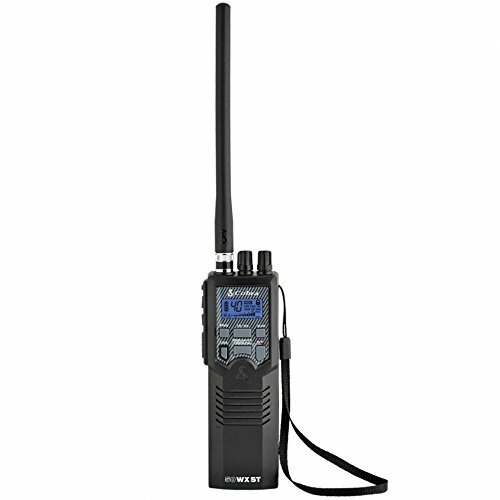 EXTENDED RANGE - 4 watt power output allows maximum power and extended range of communication. Deluxe Morse Code Practice Oscillator, Has Volume Control, Tone Control and a Built In Speaker. Built In Straight Key Can be Removed for Use On A Transmitter. Requires 1 Optional 9V Battery, also can be used with an Optional AC adapter too! ( 9v Battery or AC adapter not included). The MFJ-557 Deluxe Morse Code Practice Oscillator runs on a 9 volt battery (not included) or 110 VAC. It measures 8 1/2 x 2 1/4 x 3 3/4 inches. It comes with MFJs famous one year No Matter What warranty. 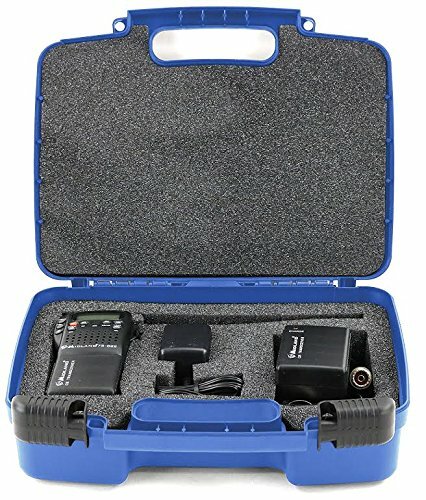 Hard Storage Carrying Case Compatible With Midland CB-Way Radio TM - Stores MIdland CB-Way Radio TM And Accessories, Safely. - Durable,Tough And Hefty Exterior Keeps Your Midland CB-Way Radio and Damage Free. - It Is Kid Proof, Drop It , Stomp It, Bang It Or Throw It, It Won't Break Inside This Case. - Create Your Small Individual Compartment For The Space Needed To Ensure A Snug Fit. Each Storage Case Comes With An Instructional Insert And Video. 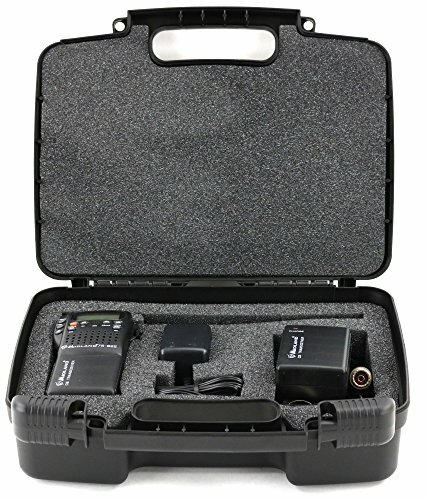 IDEAL MIDLAND CB-WAY RADIO CASE: Perfectly Fits MIdland CB-Way Radio TM, And Charging Adaptor. All In One Case Helps Stay Prepared And Organized, Anywhere You Go. CUSTOMIZE AND ORGANIZE: Personalize Your Radio Case With Our Pick And Pluck, Special Diced Foam Feature. It's Your Radio Box, Design It How You Want. PROTECT & PRESERVE :The Pick and Pluck 2.0 Thick Layer Of Foam Consists Of Individually Pluckable Dense Foam Cubes, For Secure Positioning. Walkie Talkies Are Expensive Help Them Last Longer With This Sturdy Radio Case. STORAGE ORGANIZER ONLY: It's To Store MIDLAND (TRADEMARK) Radio In It, Doesn't Come With It! Does Not Come With MIDLAND (TRADEMARK) Radio. This Complete Case Measures 12 x 9.5 x 3.5. Made In USA. Manufactured By Life Made Better, Which Is Not Affiliated With MIDLAND (TRADEMARK). Any Use Of The MIDLAND (TRADEMARK) Camera. Brand Names Or Images Are Made Solely For Purposes Of Demonstrating Compatibility. STORAGE ORGANIZER ONLY: It's To Store MIDLAND (TRADEMARK) Radio In It, Doesn't Come With It! Does Not Come With MIDLAND (TRADEMARK) Radio. This Complete Case Measures 12" x 9.5" x 3.5". Made In USA. Manufactured By Life Made Better, Which Is Not Affiliated With MIDLAND (TRADEMARK). Any Use Of The MIDLAND (TRADEMARK) Camera. Brand Names Or Images Are Made Solely For Purposes Of Demonstrating Compatibility. PROTECT & PRESERVE :The Pick and Pluck 2.0 Thick Layer Of Foam Consists Of Individually Pluckable Dense Foam Cubes, For Secure Positioning. Walkie Talkies Are Expensive Help Them Last Longer With This Sturdy RadioTM Case. Brand new radio in original packaging, fully 16 channels pre-programmed ready to use. 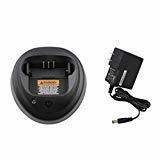 Includes rapid desktop charger, ultra high capacity battery 2250 mAh, rubber antenna and belt clip. 2 year Warranty. The FT-65R transceivers are very compact and light, yet ruggedly constructed. Three selectable output power settings - 5W/ 2.5W and 0.5W - allowing each user to choose the power they want for their operating needs. The Big Front Speaker provides a full 1 Watt of powerful very crisp and clear audio output in keeping with YAESU uncompromising pursuit of audio quality. The supplied 1950mAh Li-ion battery pack is capable of over nine (9) hours operation while an optional higher capacity 2500mAh Li-ion battery pack provides over 11.5 hours of expanded operating time for those needing even more operating time between recharges. A 2.5-hour Rapid Charger is included as a supplied accessory that fulfills the needs of must operators who want to have their transceivers ready for use at all times. Our newly designed large white LED displays for the FT-65R transceivers are vibrant and highly visible. Four (4) Quick Recall Keys (QRK) are individually user-programmable to store and recall favorite frequency settings and to be used as short-cut keys to Set Mode menu items. VOX operation is available with the attractively priced optional Earpiece Microphone - SSM-512B. Other useful included standard features are: versatile scanning capabilities such as Programmable VFO Scan, Memory Scan, Priority Channel Scan, and Weather Alert Scan, WX Channels with "Severe Weather" Alert, PC Programming, Transceiver-to-Transceiver Cloning, FM Broadcast Receiver, Automatic Range Transponder System (ARTS), CTCSS/ DCS Operation, Busy Channel Lockout (BLCO), Automatic Power Off feature, and Transmitter Time Out Timer (TOT). All the features of the new FT-65R transceivers meet commercial grade specifications and certain to provide the high performance demanded by Amateur Radio operators around the world. 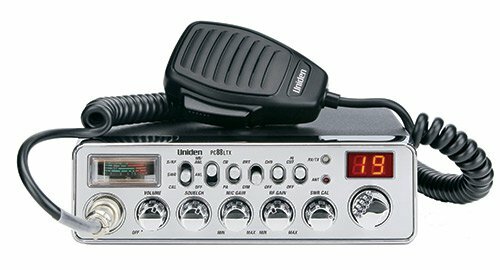 Hit the road in trucker's style with the Uniden PC88LTX CB Radio. Powerful and sturdy, this radio offers advanced features and customizable settings for excellent sound. With this radio, you never have to miss another transmission, even when you are driving. The PC88LTX offers you front mic access, a new rugged mic, 40 Channels, an S/RF/SWR/Mod Meter, and a channel indicator. Also included is a channel selector, a TX/RX indicator, instant channel 9, dim control, noise blanker, RF gain control, a PA mode, mic gain control, and a Hi Cut Function. Classic Chrome Front Panel: The look and ease you are used to in a product you can trust.. Integrated SWR Meter: Keep your CB station performing at its best using the CB's built-in SWR meter to precisely tune your antenna for best signal. Microphone Settings for Best Sound:This radio's multiple adjustments allow you to fine tune the signal and sound, for excellent clarity. Change the squelch control settings and the ANL/Noise Blanker option to reduce static and enjoy clear sound. Adjust the microphone gain to control the mic sensitivity. 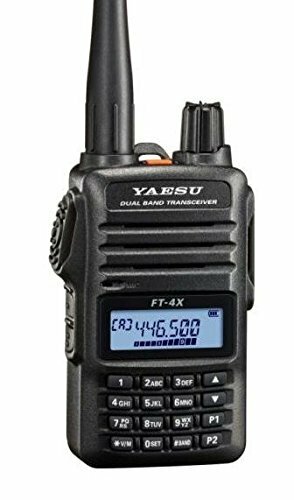 Yaesu FT-4XR Dual Band HandHeld VHF UHF Transceiver! 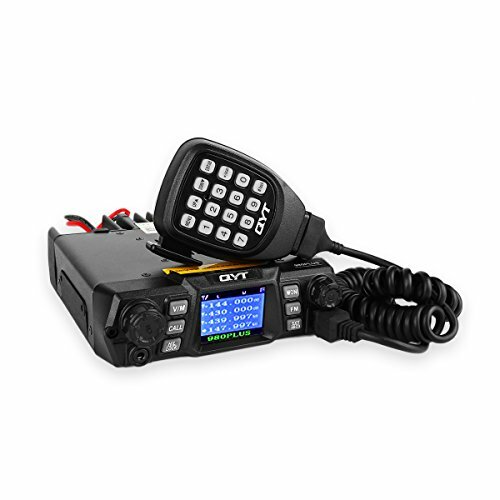 Rugged Yaesu FT-4XR 2 meter/ 440 MHz Dualband VHF/UHF Radio. Ttransmits Amateur 2M & 70cm, Plus receive coverage from 65-108 WFM Broadcast Radio band, 136-174, and 400-480 MHz. Compact and lightweight, Approx. size of 2.1 x 3.51 x 1.21 inches, not including knobs or antenna. 1 Watt of full Speaker receive audio. Supplied with 1750mAh Li-ion battery pack and 3.5-hour rapid charger is included. Optional SSM-16B Speakermike and Optional VOX SSM-512B earpiece mic available seperate. Also includes Severe Weather" Alert, PC Programming with optional cable / sofware, Cloning with optional cable, Direct Keypad Entry, Automatic Range Transponder System (ARTS), CTCSS/DCS Operation, Busy Channel Lockout (BLCO), Automatic Power Off , Transmitter Time Out Timer (TOT) & more! Real USA based Yaesu Warranty and Parts Dept available too! 5 Watt Dualband Amateur Ham Handheld Transceiver! Select-able output power levels of 5W, 2.5W or 0.5W! 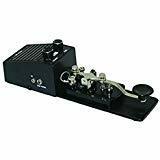 View larger View larger Cobra HH 38 WX ST 4-Watt 40-Channel CB Radio The HH 38 WX ST is a way to get in touch with friends, or the over 30 million other CB radios in use across the country. Plus complete access to 10 National Weather Channels for the latest weather information in a portable or mobile design. Details The HH 38 WX ST is a rugged portable CB radio that offers instant access to all 40 CB radio channels, 10 Weather channels for up to the minute weather information 24 hours a-day, Soundtracker Noise Reduction System for loud and clear communication, all 40 channel scan and dual watch to monitor your favorite channels, an illuminated full-function display for easy readability at night. The radio can be used in a car with the supplied 12 Volt cord. Features: Soundtracker System - Cuts noise up to 90% for clearer communication. NOAA Weather & Emergency Radio - Be prepared for storms and emergencies with built-in NOAA radio receiver. Channel Scan - Scan all 40 CB channels. Dual Watch - Monitors two pre-selected channels simultaneously. 4 Watts Power Output - Maximum power allowed for extended range of communications. 1.If you would like the machine to work(transmitt or receive) when charging,please avoid a continuous use of more than 1 hour. 2.We suggest fans or air conditioner in car to work with the machine to ensure a better heat dissipation. 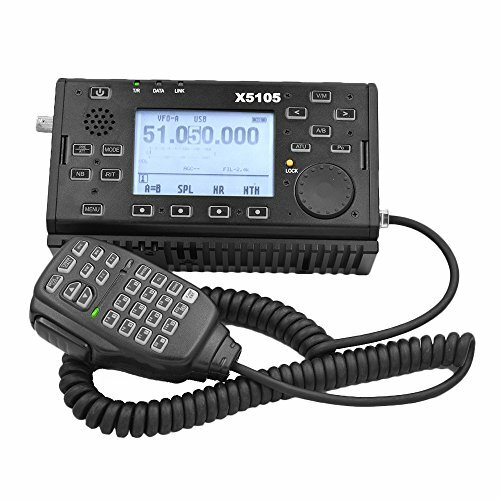 ALL BANDS COVERING: With a built-in power output of 5W, Xiegu X5105 is a highly portable transceiver working at HF+6m band, covering all modes of HF, 50MHz band (SSB/CW/AM/FM/RTTY/PSK). GREAT HARDWARE: Xiegu X5105 is equipped with a 3.6 inch large LCD screen and built-in 3800mAh large capacity battery pack. Besides, it also comes with a trestle for desktop operation. PORTABLE SIZE: Very small in size and ultra portable (6.3*3.9*1.8in) with an original speaker mic, convenient to carry.Please make sure your antenna compatible with the machine. Contact and email seller your frequency list for FREE programming. If frequency list is not sent, 16 Random frequencies will be programmed.